Some athletes bounce back after a mild concussion. Others take months. That’s because there are six different kinds of concussion, each identifiable by symptoms exhibited by the concussed patient: balance issues, migraine headaches, vision problems, cervical (neck) problems and mood and anxiety. A new test that detects concussion symptoms that current tests can miss has been developed by University of Pittsburgh Medical Center researchers. The test focuses on the vestibular ocular system, where vision, movement and balance coincide. The vestibular ocular system, located in the inner ear, is what helps the eyes stay focused on a target when the head moves about. The symptoms exhibited in the worst concussions are dizziness, vision issues and fogginess, according to Michael Collins, director of the UPMC Sports Medicine Concussion Program. 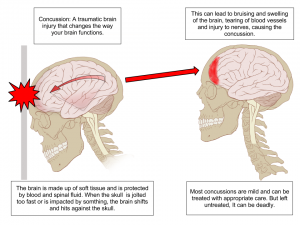 These symptoms are frequently missed in the tests currently used to diagnose concussions. Vestibular/ocular motor screening (VOMS) was 90 percent accurate in identifying patients with a concussion, according to the American Journal of Sports Medicine article. 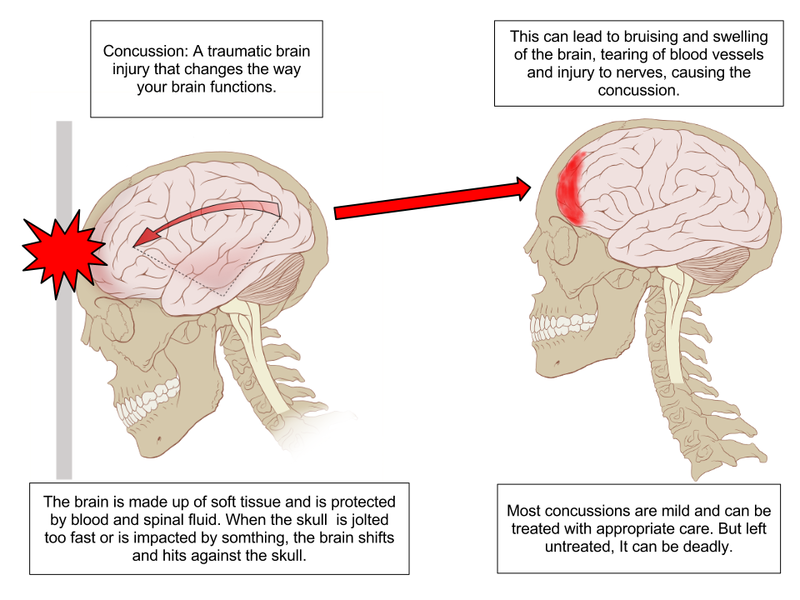 Diagnosing a concussion is fairly simple, but the VOMS test diagnoses the exactly type of concussion. There are five specific areas VOMS assesses: eyes following a moving object, rapid eye movement, stabilization of images while head is in motion, dizziness, and the points where eyes can hold together without double vision. It only takes a few minutes to administer the test and the only tools needed are a metronome and tape measure. Results are based on the immediate responses of participants when asked about their symptoms after focusing on an object or moving their head back and forth quickly. Research participants consisted of concussed patients five days after their original injury. The VOMS test picked up impairments in 60% of the participants that could have been easily missed using current diagnostic procedures. Adding VOMS to the other tests used to determine neurocognitive deficiencies could mean a significant change in both diagnosing and treating concussions, said Collins. Immediately identifying vestibular and ocular concussions could decrease significantly how long it takes to treat them.